For thousands of years, the high, arid San Luis Valley has spawned tales of the strange and the fantastic. Native Americans called it the Bloodless Valley, setting aside their weapons as they made vision quests up sacred Blanca Peak, the great sentinel of the Sangre de Cristo Mountains whose bony spine winds dramatically from southern Colorado to Santa Fe, N.M.
Later inhabitants noted a peculiar energy attributed to a combination of wind, 8,000-foot altitude and an enormous aquifer beneath the highest high desert outside of Tibet. Some went further, claiming hidden UFO bases and mysterious portals where aliens enter and exit our world. All the while, the largest alpine valley on Earth became a magnet for eccentrics, dreamers and seekers. A blessed land of austere beauty the San Luis Valley boast a major aquifer that makes this desert bloom. Often over looked but also necessary for human culture to thrive are naturally occurring Earth energies to fuel a thriving population’s creativity. 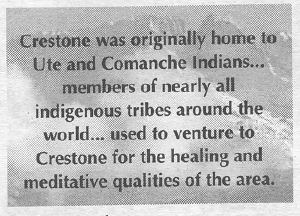 South central Colorado is such a place where conditions exist for the formation of The Colorado Center, ideal location for its purpose. It is hoped this gaiagraphic report offers a perspective on the unseen but present dynamic earth energies that permeate San Luis Valley the location of The Colorado Center. NYC has regional and global ley lines fueling its creativity as does The Colorado Center. While NYC’s global ley arcs over the North Atlantic to Europe, Blanca Peak’s ley line arcs the Pacific Ocean via: Beijing, the Bering Straits, and the Grand Teton placing the Colorado Center in this Pacific flow of global concordance. The Front Range of the Rocky Mountains is a telluric bandwidth with a number of NS ley lines and currents flowing as a charged breath bringing enlivening ‘airs’ to this place. However, generally speaking, this bandwidth is focused along the 104.5º W longitude through the Spanish Peaks to the east of the Center. While latitude is a geophysical effect of spin and light; a longitude world view measures time as a relative construct. By coincidence 104.5º is also the angle hydrogen bonds to oxygen forming water suggesting the Front Range at 104.5º West water bonds the English 0º world view to North America and visa-versa. Punctuated by volcanic vents the 104.5º Ley has Roswell, Colorado Springs, and DIA along its Front Range course. A third ley at play in south central is the Kachina Ley following the path of the Hopi’s Kachina creator beings who bring the summer rains from the San Fransico Peaks, AZ to the Hopi Mesas and on to the San Luis Valley. Seen from space the San Luis Valley of south central Colorado resembles cupped hands. In the terms of sacred geometry a vesica piscis, the symbol for the intersection of spirit and matter suggesting that this place does the same. Like cupped hands filled with water this vessel of the fish is often found in religious art and architecture, like the pointed gothic arch. Marked by the arc of the Sangra de Christo mountains this unique configuration of geography creates a petal of the Colorado Center. 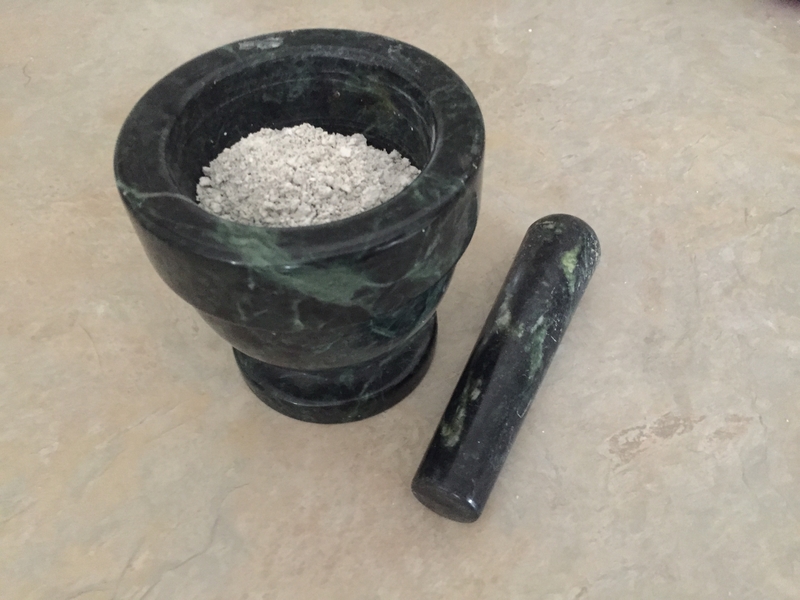 I made this Ormus Powder by taking freshly harvested water from the North Spring in Crestone. Then after adding organic dolomite lime I preformed the John Hudson method. After washing it 7 times it's now an off white Ormus powder ready to in-joy. This had a huge amount of bubbles and precip when making this indicating that its Full of minerals. Since everyone can't come out to Colorado to enjoy the water themselves at least they can now have an Ormus Mineral powder and add that to reconstitute the water.